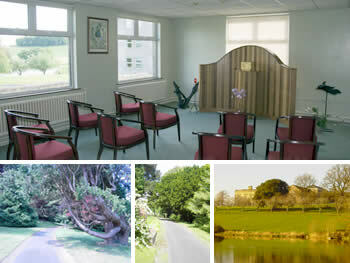 We organise a number of retreats/functions each year which are open to all who wish to avail of them. If you are interested in any of these, full details can be obtained by contacting Dromantine. The extensive, beautiful grounds and the pleasant walks create a peaceful, tranquil atmosphere conducive to prayer, reflection and rest. The beauty of nature and creation around the grounds, lake and woodlands gives one a deeper awareness of the God of Creation and is an invitation to be in closer communion with such a loving God. As well as the recently refurbished Prayer Room and Chapel one can find other quiet, comfortable spaces in which to pray. All these combine to make Dromantine a perfect place for any kind of retreat. 14/10/19 - 20/10/19 Foyer Of Charity Silent Retreat Foyer Of Charity Silent Retreat 14th to 20th October 2019 Theme : "If you but knew the gift of God..."